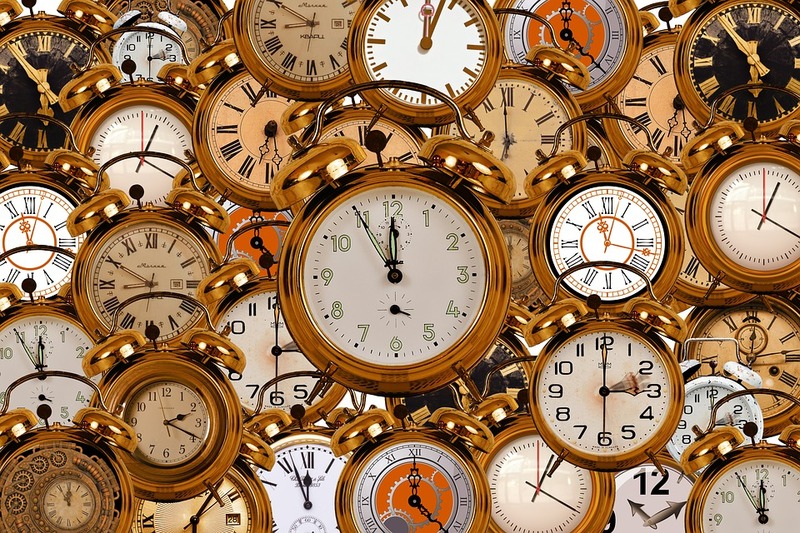 Most young children have difficulty learning and understanding the concept of time. It’s the passage of time and the use of clocks that plague them. Once this concept is mastered, children experience a feeling of independence and competence. Here are some facts and activities that make time telling a fun adventure. Long before clocks were invented people used nature’s rhythms as signals and planned their daily activities according to the rising and setting of the Sun. They got up with the sunrise, worked until dark, and then went to bed when the sun went down and darkened the sky. Later, people wanted a more accurate kind of time telling. They found that shadows made by the Sun as it crossed the sky marked time hence the sundial was developed. Since the sundial was only useful during sunny days and outside, other clocks such as a water clock, sand clock (hour glass), and ancient pendulum clock came into use. In 727, the Chinese invented the first mechanical clock. Next, came pendulum clocks which improved time telling. Although the ringing of church bells and calls from watchmen signaled time, people wanted ways to tell time wherever they were. Pocket watches came into the history, mostly for men, and women wore timepieces on bracelets. Now, the majority of people wear some form of watch or use their cell phones for time telling. We need to know the correct time to facilitate our busy schedules. Speaking of clocks, how many types of clocks can your students name? Together brainstorm a list. (alarm clocks, clocks on kitchen appliances, cuckoo clocks, grandfather clocks, digital clocks, cell phone clocks, etc.) 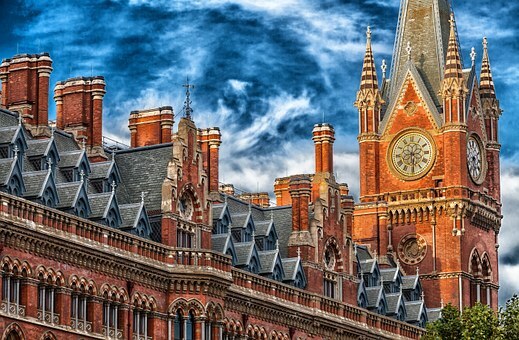 Do they know about famous clocks, like Big Ben? This is a great topic of discussion in your classroom. Help your students discover ancient clocks by making this simple version. The Sundial is the oldest device known for measuring time. Sundials dating back over 4,000 years ago have been found by archaeologists at excavation sites in Egypt. This clock measures time by measuring changes in the length and the direction of shadows cast by the Sun. The numbered markings show what time of the day it is when the shadow of a pointer called a gnomon falls on the sundial’s face. As the Earth moves around the Sun, the shadow moves across the sundial. Help the children begin to understand this concept by going outside three different times during the day (morning, noon, and later afternoon) to check for changes in their shadows. Explain that because the Sun rises in the east and moves across the sky to set in the west, the early morning shadows are long and fall to the west. At noon, the Sun is directly overhead and the shadows are the shortest. In the late afternoon, the shadows are long and fall to the east. 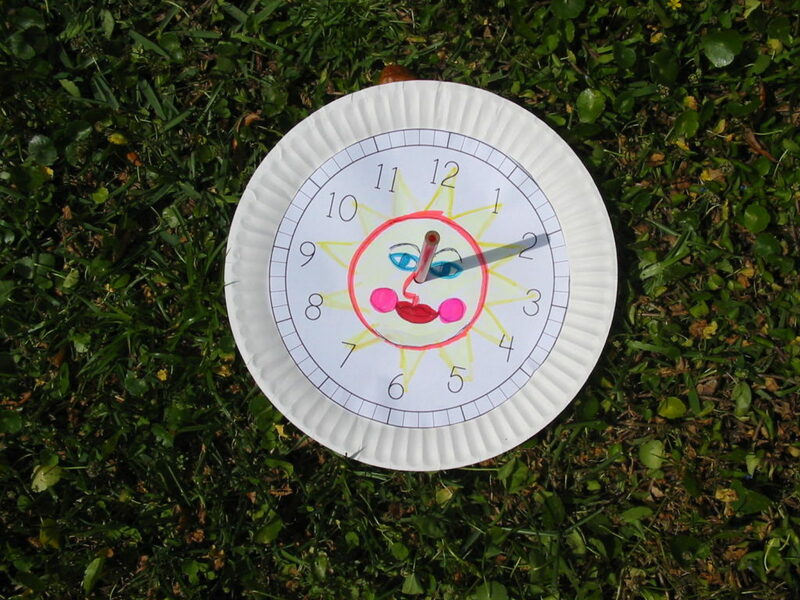 After observing the changing shadows and talking about where you might find sundials today, make a simple shadow clock in class. Make a simple sundial clock pattern. See link below. Draw and color features to look like an ancient sundial clock. Glue this to a paper plate. Make a hole at the (O). Take the sundial outside where it will get sun all day and place it on the ground. Poke a pencil through the hole and into the ground so that it stands up very straight. Use a compass to find north and point the “N" on the sundial toward the north. Use a regular clock to help number your sundial. On each hour, look at the sundial to see where the shadow of the gnomon falls. Mark a mark and write the hour at the end of the mark. Do not move the sundial. Look at the gnomon every hour and make a mark to complete the sundial. On any sunny day you can take this sundial outside, point the “N" to the north and use this shadow clock to tell time. Ask your students to brainstorm a list of activities in which time is important. Think about when school begins, running in a race, time buzzer in a basketball game, the length of a television show, or any other events where time is involved. Talk about how businesses need to post their hours of operation or how transportation schedules involve people. Knowing the time is essential! Ask the kids if they have heard the expression, “how time flies?" Does time really seem to fly when they are busy with activities? How about does time drag other times? Have the students make a list of things that make time fly and other things that seem to take forever. But, is the time really different? Does it change? Play a game. Have the kids sit with their eyes closed. The teacher watches the second hand of a clock and claps hands every ten seconds. Ask the kids to concentrate (maybe counting to themselves) and raise their hands when they think ten seconds has elapsed. The challenge is to raise their hands at the same time the teacher claps. Another game is to see who can write their name in ten seconds. How many times can you write your name in a minute? Compare the data with the other students. Who can explain A.M. and P.M.? Clocks measure a day as 24 hours, the time it takes the Earth to make one complete rotation on its axis. We divide the day into two 12-hour segments, which means the hour hand must go around the clock twice in one day’s time. To clarify whether the time is day or night, we use the abbreviations A.M. and P.M. A.M. comes from the Latin term ante meridiem, which means before noon. P.M. stands for post meridiem, which means after noon. The hours between noon to midnight are called P.M.
We all live by schedules. Have your students write down parts of their day and signify whether the times are A.M. or P.M. Include things like: I wake up at, I eat breakfast at, I have recess at, school is over at, dinner is served at, my bedtime is, and so on. Did you know that Benjamin Franklin was involved with the suggestion of Daylight Savings Time? In 1784, when he was serving as ambassador to France, he made an observation. People wasted morning light by shutting curtains to sleep late and in the evening burned candles and lamps to complete their activities when the sun set. Franklin suggested that people could save money by burning fewer candles at night if they pushed their clocks ahead one hour. It wasn’t until the time of WWI and WWII where people were concerned about energy that towns initiated daylight savings time. Today, most of the United States follows this time change except Arizona and Hawaii. On the designated day, we move our clocks ahead near spring, and then back an hour in the fall. The saying goes, “Spring ahead, Fall back."